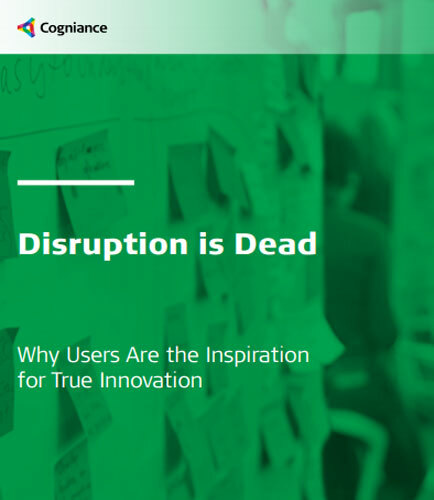 "Disruption is Dead - Users Are the Inspiration for True Innovation"
Disruption used to mean a true shift in the market that blew minds and emptied walls. Disruption may be a waning model for innovation, but there’s a pot of proverbial gold on your product roadmap- and they’ve been there the whole time. This whitepaper explores why a user-focused, design-led mentality for technology products delights markets and satisfies that picky user in all of us. It’s time to get started. Bring your designers into the process early. Run tests!